School is starting again and some of us have more concerns than just shopping for school supplies. 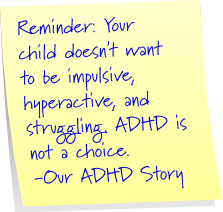 Some of us don't know if it will be a good year or a hard year for our ADHD child. Here are some tips to help you get through another school year. It's okay to be mad but it's not okay to be bad. 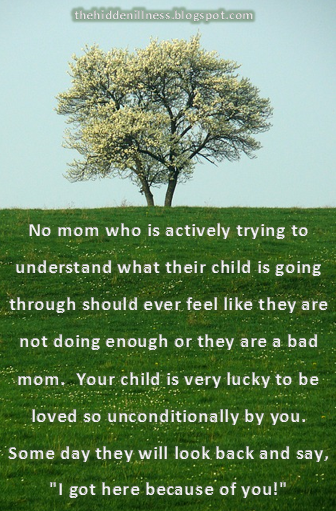 Always be their advocate and help them push forward in times of need, to know that it is okay to cry and to be understanding even when I don't understand... the best advice I got from a counselor, well I haven't gotten it yet, because unless you have an ADHD or behavior child then you can't truly understand. Trust your gut, it's your child no one else's. 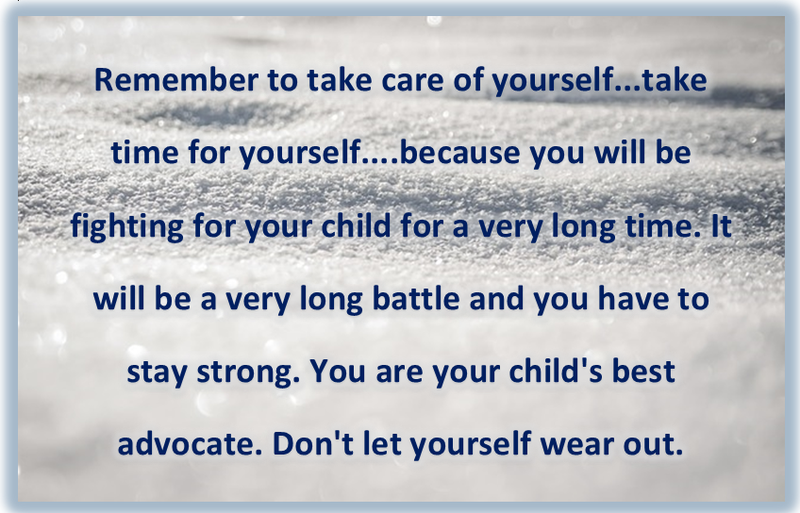 To inform yourself so you can help your child cope and understand as they get old enough to. 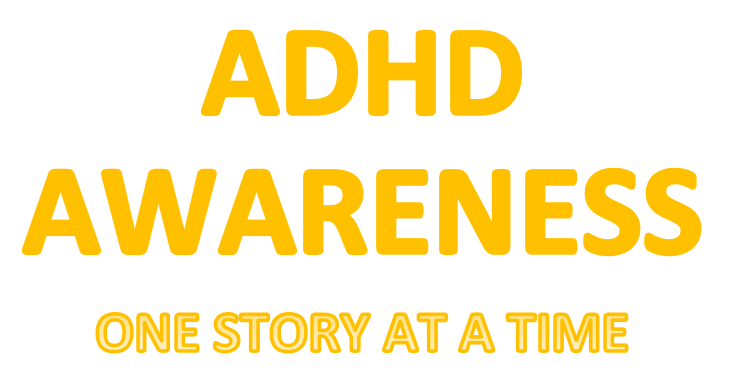 I 100% believe that once I understood exactly what ADHD does to my son and how he feels when its fairing, I lost the urge to fuss and became more understanding and honestly closer to him. I found ways to deal with things. Pick and choose your battles. Not everything is such a big deal. If you're going to "battle" don't give in. ADHD adults and children need lots of down time to unwind after a school/work day....time to relax and do what they want to relax...this is my experience...don't over task or over schedule ADHD children with too many activities....too stressful for all....just one physical activity or sport is important for them. Here are a list of his diagnoses. Now put them on a shelf and forget about them because those are just words, they DO NOT identify or make up who your child is! It is okay to be different and its okay to be frustrated from time to time. When I get frustrated I give myself a little time out to gather my thoughts so I can better handle whatever situation it may be. Sometimes both parent and child need a time out alone to calm down and be able to think clearly. Children will teach you more than you could teach them. Listen to your instincts. You know your baby/child better than anyone. Talk to them and remind them that this is all a process and that the medications will help, but the medicine won't do everything, They need to learn to cope and control with the medications help......the older they get, the more they learn about themselves and are able to control the meltdowns. Routine and structure; kids thrive with it. Give the child plenty of notice if the routine is going to change. Always focus more on the positive and less on the negative. Children learn by your example, not by your advice. To find a support group so you don't feel so alone and isolated and bounce ideas off one another. It's a tough world we live in with lots of people judging our parenting or other kids bullying ours. 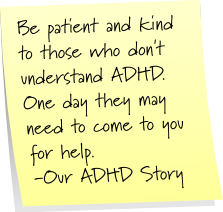 It's OK to crumble but take time for you and rebuild your strength to continue coping and supporting your ADHD child. Find your child's passion, let go of the small stuff and enjoy having a specially gifted child! Don't let the negative attitude of others tear you down. Be positive, love and encourage them! Everyone is always telling them what they are doing wrong. Not enough praise of what they do right. My kids set goals for themselves and then try to achieve them. I encourage them to do the best they can. And that is all anyone can ask. Never compare your child to other children, love your child for who they are by looking for the positives, take time to know your child...talk read play together, never underestimate what they are capable of and give them opportunities to succeed at, never talk about your child in front of them unless its praise. To look for the whys of the diagnosis. start again tomorrow after a good nights sleep. catch them being good... and praise all the little things. 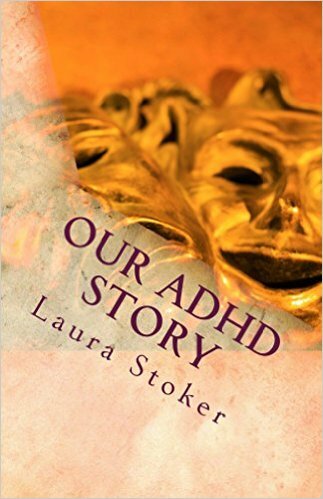 ADHD is a chemical imbalance of the brain, a neurological brain disorder that is not your fault. You are their safe place so know that you will get the worst of it but you will also get to see the best. Moms do not let yourself wear out, take time for yourself, pamper yourself. Remember you cannot feel someone else's cup if yours is empty!